In Storms of My Grandchildren, James Hansen-the nation's leading scientist on climate issues-speaks out for the first time with the full truth about global warming: the planet is hurtling even more rapidly than previously acknowledged to a climatic point of no return. Although Hansen was Al Gore's science adviser for the 2006 documentary An Inconvenient Truth, his recent data shows that our situation is even more dire today. But politicians haven't made the connection between the policy and the science. 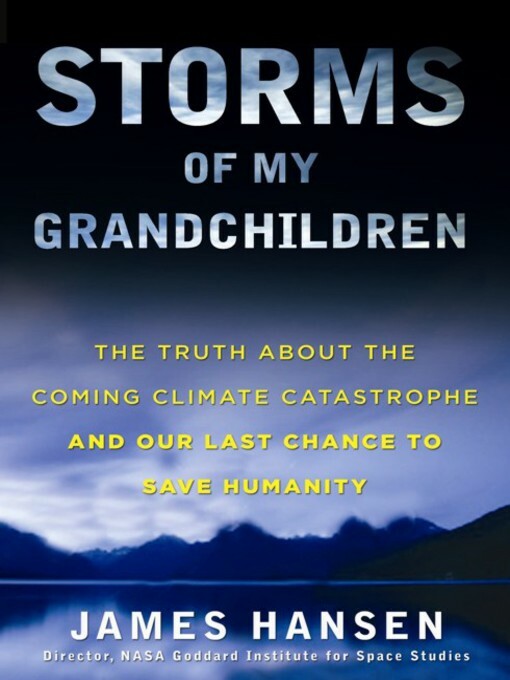 Hansen shows why Gore's solution-cap and trade-won't work, why we must phase out all coal, and why 350 ppm of carbon is a goal we must achieve in the next two decades if our children and grandchildren are to avoid global meltdown and the storms of the book's title. This urgent manifesto bucks conventional wisdom (including the Kyoto Protocol) and is sure to stir controversy, but Hansen-whose climate predictions have come to pass again and again, beginning in the 1980s when he first warned Congress about global warming-is the single most credible voice on the subject worldwide. Hansen paints a devastating but all-too-realistic picture of what will happen in the near future, mere years and decades from now, if we follow the course we're on. But he is also an optimist, showing that there is still time to do what we need to save the planet. Urgent, strong action is needed, and this book, released just before the Copenhagen Conference in December 2009, will be key in setting the agenda going forward to create a groundswell, a tipping point, to save humanity from a dire fate more imminent than we had supposed.